This ideal 3-bedroom starter home contains a roomy master bedroom and ensuite with walk-in closet. The kitchen layout includes room for a central island and enclosed pantry. This bi-level measures 1156 square feet and can be adorned with a wide range of styles and features. 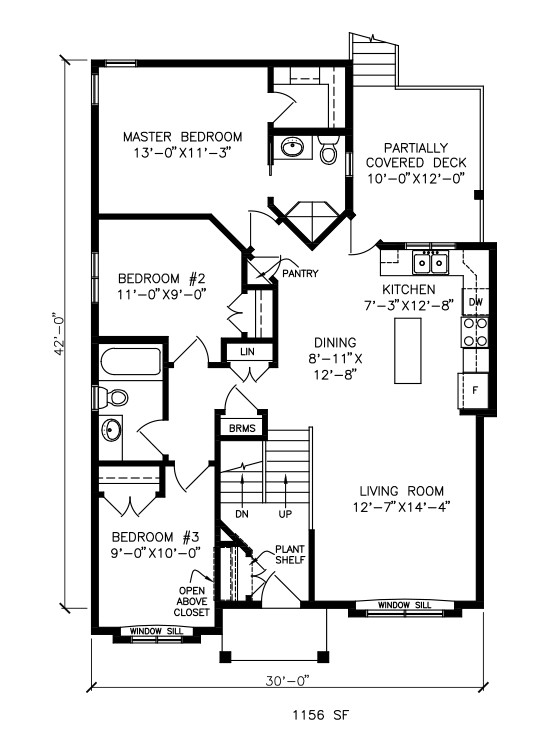 For any small family, this floor plan is a great starting point for building your custom home.